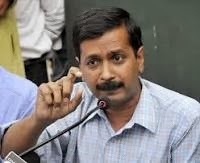 Aam Aadmi Party had declared Arvind Kejriwal as the MLA candidate for Delhi Assembly Elections 2013 from the New Delhi constituency. Below are the some of the details about Arvind Kejriwal. Occupation Dependent on financial support from family and friends. Assets One plot in his own name in Indirapuram and 1 Lac in his bank account. One flat in Gurgaon in his wife's name and 1 lac deposit. Criminal Record Had cases filed against him during his fight against corruption. He was an Income Tax Commissioner before he left his job and started working as a full time social activist fighting against the corruption. He was one of the most prominent figures who pushed for the RTI to be passed as a law. He also worked a lot in raising the mass awareness about RTI. Arvind Kejriwal along with Sri Anna Hazare ignited the biggest fight against corruption at a level which was never seen in last 4 decades. On innumerous occasions he has busted and unfolded many of the scams involving leading businessmen, bureaucrats, and politicians of India. He also sat for a 15 days fast to raise voice against sufferings caused to comman men by unjustified and irrational high charges for water-electricity.